Fogo, Twillingate, Moreton’s Harbour. All Around the Circle. This was a first for us. We basically based our travel plans upon the lyrics of a traditional Newfie tune. Not sure what we’re talking about? Go Google the lyrics to “I’se Da B’ye” and then come on back. Or better still, ask a Newfoundlander to sing it for you. 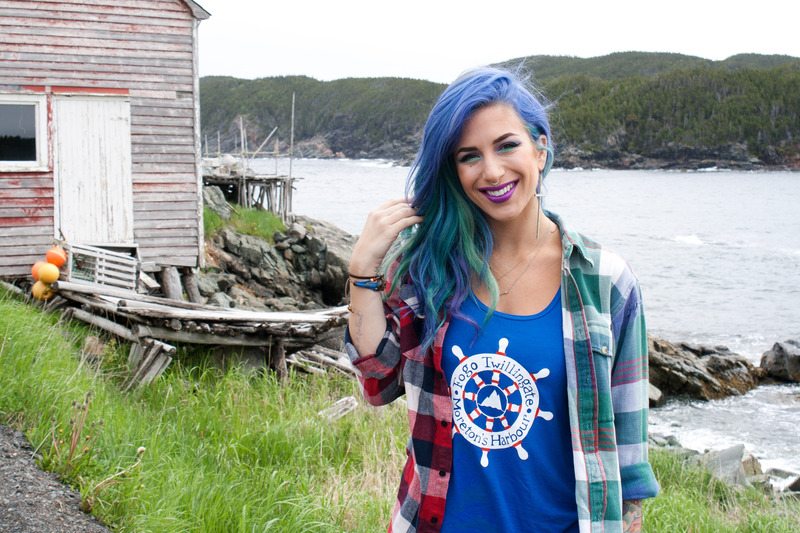 A couple weekends back, we set out with our super simple itinerary: Fogo, Twillingate, and Moreton’s Harbour. We even kept the proper order, haha. I mean, why mess up a perfectly good route? We may as well get right down to it. 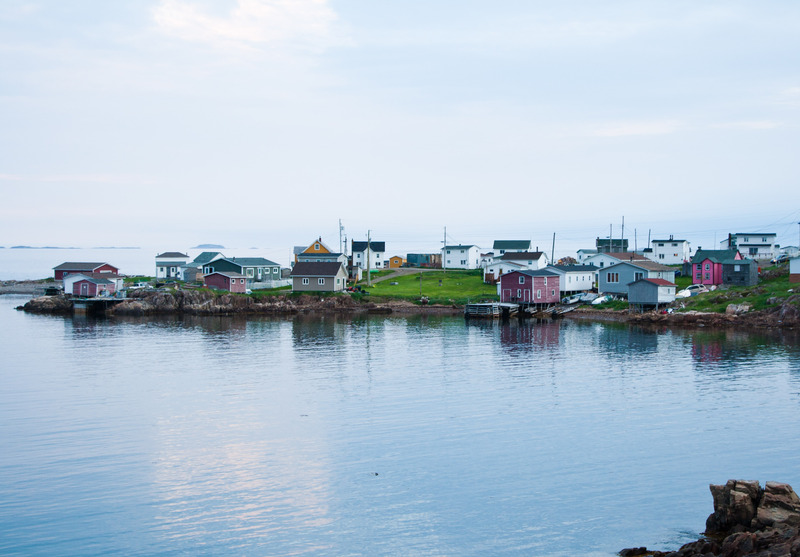 We’re in love with the Town of Fogo Island. 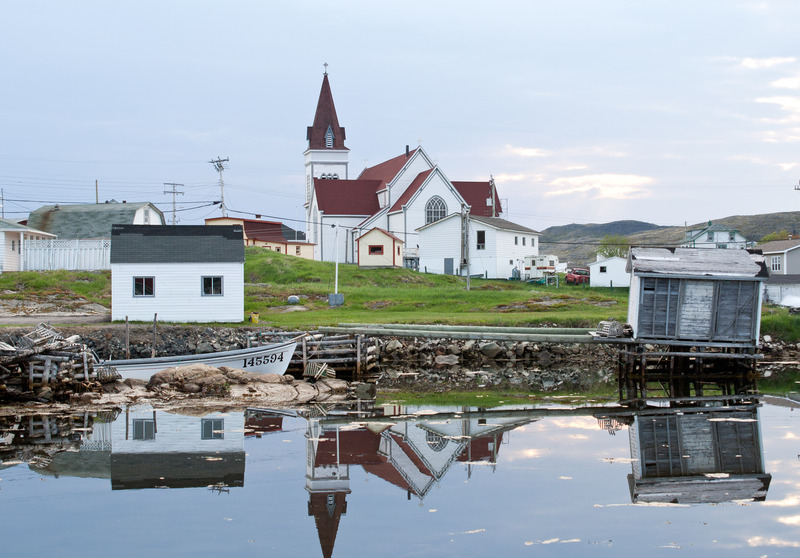 In this province, island communities had a tendency to be resettled–like Black Island, where our Mom grew up–so we’re glad Fogo Island is still very much alive. For an island with 2400 people, there’s lots to do and see. 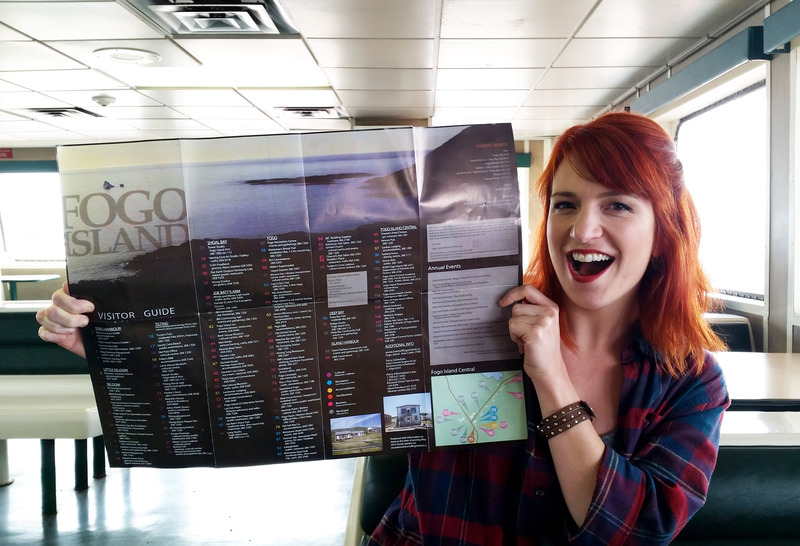 Have you seen the Visitor’s Guide?! There are only 11 (or is it 10?) individual towns on the island, and I think 8 or 9 of them have their own festival during the summer months. Amazing. If you ever plan a visit, definitely go during the summer. For starters, everything is open! When we headed out for supper in the town of Fogo, our lovely hostess said, “Thank God for the Chinese restaurant–they’re the only ones open in the winter!” Haha. Plus, if you toss in the many festivals, there’d never be a lack of things to do. Give yourself a couple days and you’d be able to see the entire island. And yes, you want to see it all, because it’s beautiful. So many things to do and see! And yes, we’re on the ferry. The Town of Fogo, on the Town of Fogo Island. As always, our time wasn’t long enough. The time we did have, however, was perfect. We visited every town except one, (apologies to Island Harbour, but we had a ferry to catch). If you happen to find yourself driving around as we did, make sure to stop at Flat Earth Coffee on your way to Joe Batt’s Arm! (Although you’ve probably already had their coffee at this point–they run the canteen service on the ferry.) We also highly recommend eating at Nicole’s Cafe. (OH! Another reason to visit during the summer months: Growlers Ice Cream. We missed its opening by one week, and we’re still not over it.) 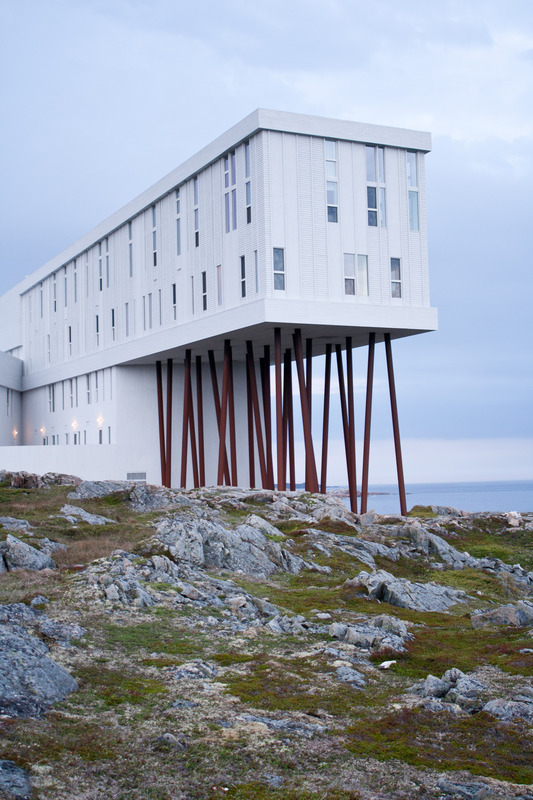 If your budget allows, stay at the Fogo Island Inn. Or treat yourself to a meal at their restaurant. Our budget didn’t really allow it, haha, so we treated ourselves to a free walk inside the hotel’s lobby and library. Honestly, I just needed to see the hotel for myself. We spent a good 15 minutes just staring at it, and maybe another couple minutes wondering if we were actually still in Newfoundland & Labrador, haha. That’s how cool the Inn is. 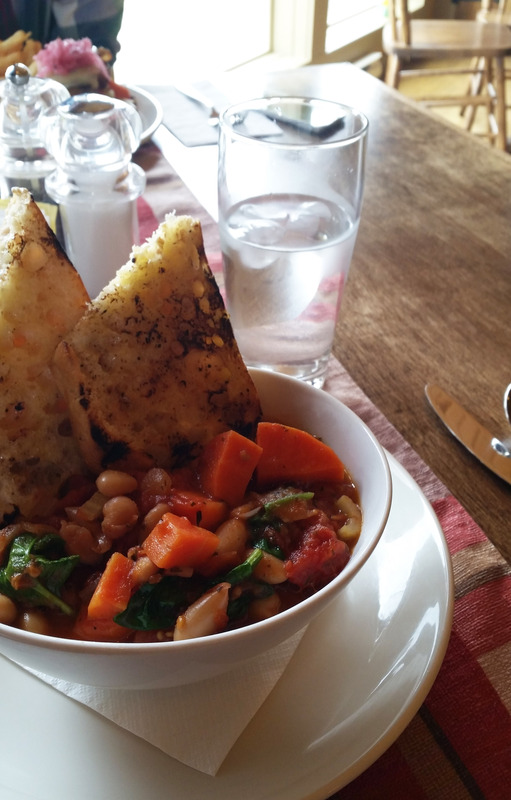 Chickpea Stew at Nicole’s Cafe. So good!!! The Fogo Island Inn. I’m still in awe. 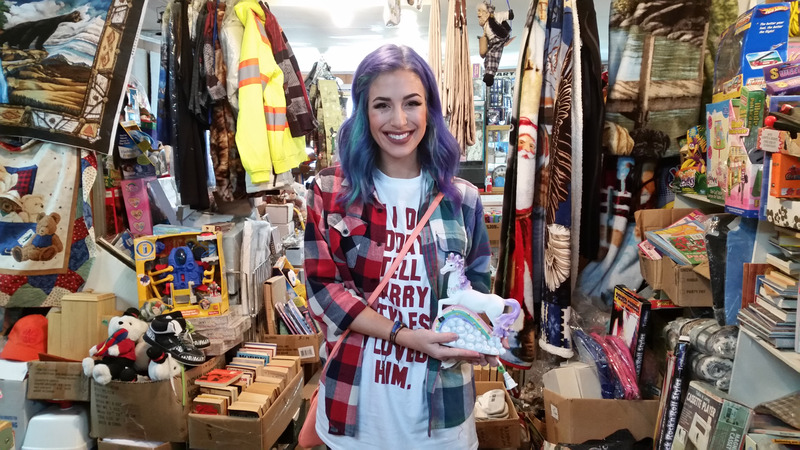 Of course, Jess was in her glee and came out of there with a bag of goodies–including that unicorn lamp. She actually had to set a limit on the amount of money she could spend in there, haha. This may or may not be hard to believe, but there was a gorgeous bright pink coat in that shop that I had to leave behind. (Gas Money or Bright Pink Coat?…Gas Money won. But just barely.) 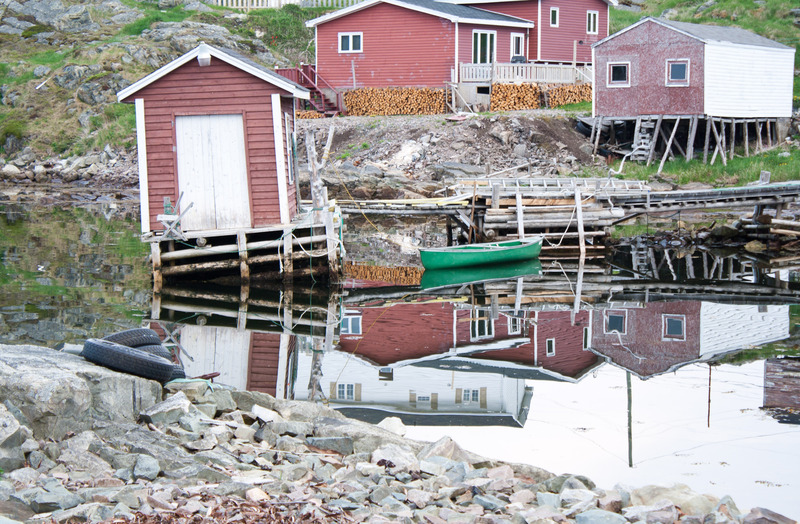 My money choices meant we made it to Twillingate–our first time there in ten years. Typically, I’m pretty good at remembering where things are, but not in Twillingate. I couldn’t find my BFF’s house for the life of me, and I went all the way to the ends of Durrell thinking that’s where the lighthouse was. (Wrong, Jana. So wrong.) 45 minutes later, I found it. 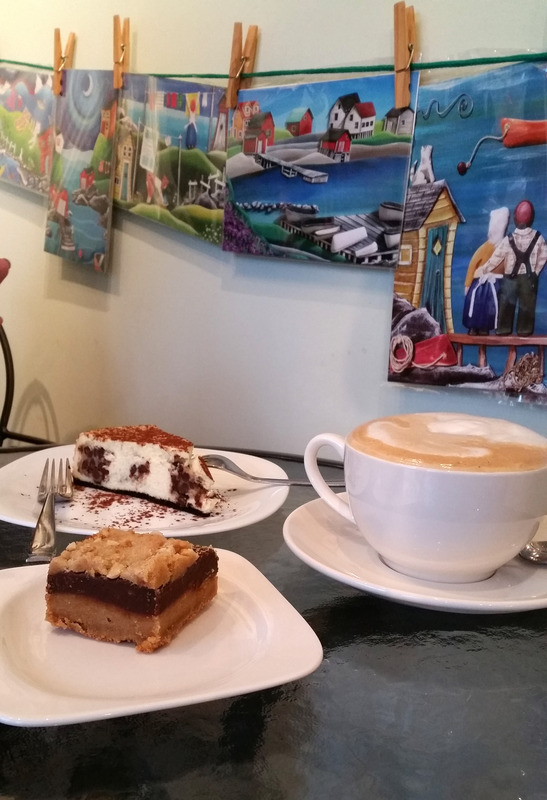 We also found the highly recommended Crow’s Nest Cafe, now also known as our favourite place to eat in Twillingate. Probably because they serve homemade Cheesecake and Peanut Butter Revel Bars. (We’ve already checked Pinterest for Revel Bar recipes, guys.) They serve food as well, but that’s totally not our style whenever homemade cheesecakes are an option. If that’s not lovely enough, the cafe walls and shelves are full of local artwork and handmade craft. Breakfast the next morning was spent at our B&B with a pair from England and two couples (one English, one French) from the Mainland. Our final stop, Moreton’s Harbour, was more of a drive-through on our way back home. It’s one of those rural towns that make you wish time-travel was actually a thing. Just so you could see the way it used to be. And Moreton’s Harbour. Thus concludes the circle. **That shirt Jess is wearing? It’s one of Jana’s designs. (And part of the reason we wanted to visit all three towns). You can find them at www.figgyduffdory.com. Thanks Brett! Fogo is definitely worth a visit! Love it! We’ve stayed at the Inn and although you’d have to sell a lot of those great t shirts to pay for it, it’s well worth it. I’ve done an all around the circle blog post too and will definately need one of those shirts! I think we drove past it, Robyn, but didn’t stop in ! Haha, and we said next time we go ‘All Around the Circle’, we’ll have to do it in boat! Oh my goodness Jessica you are stunning and of course Jana as well! Impressive designs and nice article. Grand to have yer times, galabanting all around 🙂 Well done! Next Next post: There’s A New Girl Downtown.